Transitioning to a Garmin G1000, often referred to as Glass Cockpit Transition, is the future of navigation. 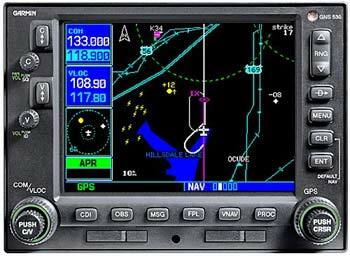 The G1000 has quickly become the standard navigation choice for new aircraft from Cessna, Piper, Mooney, Diamond, Cirrus, Beech, and virtually all light jets. The range of features can be daunting, but, like anything else, it makes sense once you understand how the system works. The G1000 transition is taught in the real airplane on the ground using backup power as to learn all of the features of the system and which knobs and buttons do what. This ground portion typically takes two sessions of approximately two hours each. Then we transition to the airplane. Two flights of about an hour and a half each usually are enough to have most pilots feeling comfortable. NOTE: Aircraft no longer available; Ground lessons only. Transitioning to a Garmin 430 or 530 is a great step. It enables enhanced position awareness and navigation for the VFR pilot and access to the thousands of GPS approaches for the IFR pilot. Since the introduction of GPS WAAS, it has become important to know the differences in capability and performance between a 430/530 without WAAS and one with WAAS. 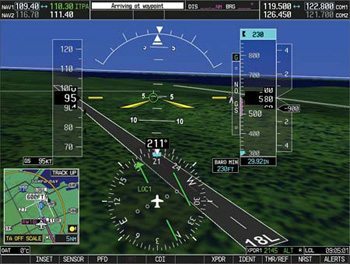 The Garmin 430/530 transition can be accomplished in 4-5 hours of both ground and simulator training. If you have experience using a Garmin 430/530 non-WAAS and want to learn about the capabilities of a Garmin 430/530WAAS including coupled approaches using a roll steering autopilot, this training is also provided. It begins with the simulator, then transitions to the aircraft as desired by the student. Whether you are flying a glass cockpit or an advanced GPS navigator, or you are about to move up to some of the latest in aircraft avionics, initial and on-going training is an investment that will allow you to maximize the utility and safety that these tools provide. I am focused on offering you Customized Training designed for the type of aircraft that you fly, the type of avionics in your airplane, and the types of mission that you fly whether it is VFR or IFR. Listed below are some examples of the type of training that is available. Regardless of what choice you make, we will focus on improving your knowledge and comfort with the airplane and avionics that you use in all types of flight conditions. This teaches the basic operation of your aircraft and avionics package. We will cover normal operations of the autopilot, short field take off and landings, go-arounds, high altitude operations, review engine management, steep turns, energy management, review stalls in different configurations, weather and IFR operations, and much more. I prepare you for every emergency situation; electrical, mechanical, or weather related. This proactive program is a necessity for every pilot with caution and safety in mind. The majority of the training will be conducted in the Redbird FMX simulator. You can maintain your currency, save money, and fly approaches to planned destinations while never leaving your home area. Through the use of our Redbird Flight Simulator you will be able to take advantage of the economy, efficiency and efficacy through the use of our Advanced Aviation Training Device (AATD). The Garmin G530/G430 course will take you from the basics all the way through executing GPS and overlay approaches and advanced features. This course has been used by hundreds of pilots all over the world to master this feature-rich GPS. Now you can learn to fly 530/430 quickly and effectively. Plan and execute ILS and non-precision approaches – including GPS approaches. There’s even a WAAS LESSON to give you an expert understanding of WAAS and the different approaches that use this technology. Our REALISTIC EXAMPLE FLIGHT will help you put all the concepts together and show you how to use the GPS as you fly, stepping through a realistic example flight. By the end of this course you will be able to use the communications and navigation radios, switch navigation sources, go direct to a fix or airport, go to the nearest airport, build a flight plan, edit a flight plan, use advanced features like fuel planning tools, custom messages, and more. For the IFR pilot you will know how to load Arrivals, Departures, and Instrument approaches. You’ll know how to use the GPS to perform ILS and non-precision approaches including GPS approaches. BONUS: You’ll also learn why to NEVER use the activate vectors to final option and what to do instead. You can spend a lot of valuable airplane time trying to learn how to use the GPS yourself. You can also spend a lot of time reading the manual and never get the understanding this course will bring. Bring your GPS to life with this excellent course as I take you by the hand through the features you’ll need the most.